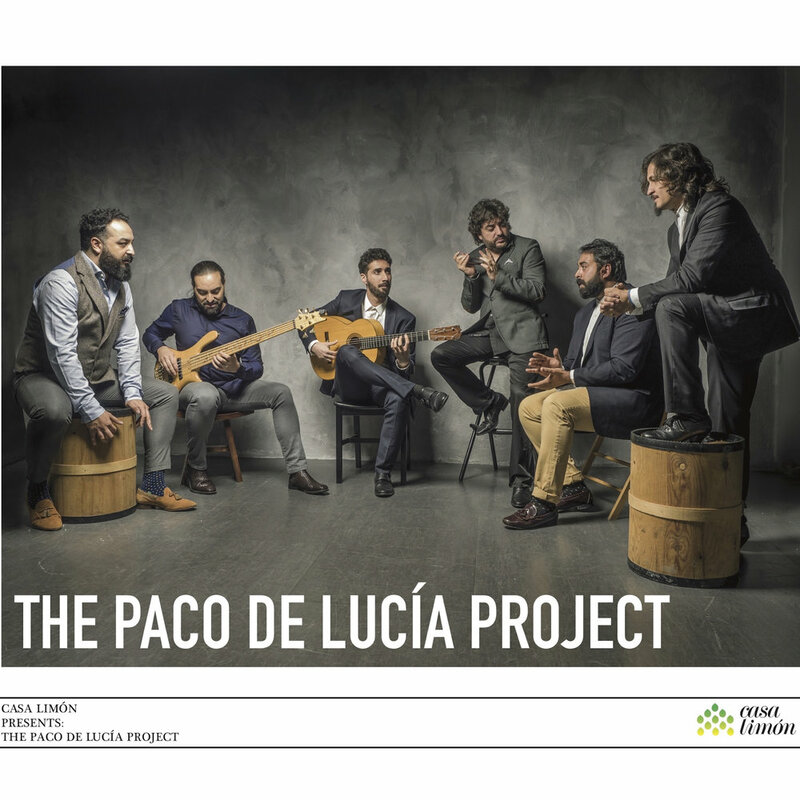 The Paco de Lucía Project Live CD is out! Recorded live at Miami's Olympia Theater during their Fall 2017 tour with IMG Artists, this record pays tribute to de Lucía's legacy. Created by 10-time Latin Grammy® winner Javier Limón, The Paco de Lucía Project reassembles the original band that toured with the legendary flamenco guitarist for the last 10 years of his career. A longtime collaborator and producer of Paco de Lucía, Javier Limón brings the secrets of flamenco at the highest level to create an experience that honors the legacy of Paco de Lucía, while paving a new path into the future of flamenco. Paco de Lucía was widely considered to be the world’s premier flamenco guitarist and by many to be Spain’s greatest musical export. He has had a revolutionary influence on flamenco music both as a composer and otherwise. His influence on flamenco guitar has been compared with that of Andrés Segovia’s on classical guitar. Throughout his 50 year career, he performed and recorded with musical legends such as Eric Clapton, Chick Corea, Carlos Santana and Al Di Meola among many others.